Why is TB Joshua avoiding the court? On the 5th November, TB Joshua was summoned to court as a witness in the inquiry into the SCOAN building collapse. He didn’t turn up, because (his lawyer said) he hadn’t personally received a witness summons. This is only a half truth, because his lawyer had received it on his behalf, something that is perfectly valid according to Lagos State law. On the 18th of November, he failed to turn up to court for a second time. This time, no excuse was given, and the lawyer said he would order his arrest. The next day, lawyers acting on behalf of TB Joshua filed an application to Lagos State High Court asking them to declare that the invitation on him to appear as a witness before the coroner was a breach of his right to fair hearing, as no case had been established against his person before the coroner (source). This last sentence is very revealing. At this stage TB Joshua is only being called as a witness, and surely nobody can argue that the general overseer of a church who’s guesthouse collapsed, killing over 100 people isn’t an essential witness in the inquest. A witness is just someone who is thought to have knowledge relevant to the event, a witness doesn’t need a case established against them before appearing in court! According to SCOAN, this building collapse was an attack on them. This means over 100 of their visitors were murdered by an unknown terrorist organisation. If they believe they have evidence supporting their claim, they should be going straight to court as a witness to present it, rather than uploading videos on youtube. Secondly, they should have immediately ceased holding large public gatherings on a site that had been compromised by terrorists. The fact they have done neither of these things is clear evidence that they don’t believe their own stories and they’re just lying to cover up their own guilt. Why else would TB Joshua be acting as if he’s a defendant while he’s only a witness in the case? “The Prophet has respect for the law of the land and will not do anything that will hurt the law,If at the end of the day, it is appropriate for The Prophet to appear he will be in court. TBJW Comment:It is entirely appropriate that “The prophet” (sorry, capital P is not appropriate here) appear in court as a witness, over 100 people died in his guesthouse! The fact that he has failed to show up twice (without prior warning) shows that he has no respect for the law of the land and is not afraid to hurt it. We do not intend to abuse the legal process. TBJW Comment:You have already been abusing the legal process by not turning up to court and submitting “evidence” of what you think happened to youtube rather than to the court. TBJW Comment:Showing respect for the dead would have meant allowing rescue workers to immediately gain access to the site to save more lives. It would mean not trying to cover up the disaster by claiming it had just involved a few people who were now being rescued. It would have meant cancelling the meeting the next day, rather than continuing as normal while a few hundred metres away people were dying in agony. It would have meant telling the truth to reporters, not bribing them to only report the good things. It would have meant paying for private mortuaries so the bodies didn’t rot beyond recognition in inadequate facilities. It would have meant immediately releasing list of people present in the building so the investigation could be conducted. It would have meant giving all the assistance required to the court in order to discover the truth and get justice for the dead. Why is TB Joshua avoiding court? It appears he’s worried the truth will be known. ← Is TB Joshua about to be arrested? In my case when I was at the Coroner Court on its 1st hearing…I ignorantly took a snap shot from my camera phone of the Coroner during proceedings…that was dumb…guess what? The Coroner was livid and he ordered the cops to impound my phone and rightly so too…I immediately started apologizing to him right from the back bench and he said these very impressive words more or less to me…. That is if he “actually” contracted the construction to a legitimate building construction company like most top companies and industries are mandated to do when it comes to high-rise public building construction. So the construction firm would have taken the full blamed for engaging in such a shoddy construction work against their ethical professional code of conduct on safety regulations. But now he must answer very serious questions about his apparently “non-existing” building contractor who will likely be “detained” and be made to face charges if he can’t convince the court that he was not complicit in erecting 4 additional floors on that building without first ensuring that the foundation was solid enough to withstand the pressure on the long run…. I can’t fancy anyone who would allow himself to be “bribed” by the prophet to pretend to be his “fall guy” contractor and take the back-lashing blame and perhaps risk a life long prison sentence attached to it…what is the use paying someone millions that he cannot spend if he is in sentenced to life imprisonment? Here lies his waterloo…no contractor…no fall guy…no appearance in court! If truly this prophet contracted a reputable firm to construct this building he would have long fingered the whole blame on them to exonerate himself claiming he paid them good money to do a good job only for them to cut corners on the job and precipitate this unfortunate incident…and many people including us his critics will see reason with him as the professional builders ought to know better than to keep piling concrete decking upon decking on a foundation that is not formidable enough to take the load…that is why your building contractor doubles as your building consultant as well in advising the best and affordable way to complete you building project…simple business principle I guess.. He thinks he can manipulate the court the way he manipulates his followers and cause the court to suddenly suffer from amnesia and to forget they ever summoned him.. Fat Chance!…even if the court does forget…the world will surely not “forget” to remind the court! That is why they have released Mr Christopher with the last done preaching of last Sunday “we wait upon the Lord to deliver us”. Aka Diversion of the course of Justice by Stalling as long as possible. We pray it will 3 December will be the day that there is no recourse in their trickery they keep conjuring in front of the world. Because if they know how to delay, detract, drag their feet there will something crop up that they can call the black sheep. Maybe it takes a long time to brainwash somebody like Lee Harvey Oswald to tell the world they have killed JF Kennedy ? Who knows ? The Devil is always in the details remember. And there are lots of people involved who don’t want to be castigated because of indirectly being involved in such a horrible tragedy. I see all kinds of Pastors saying things that I cannot believe this comes out of the so called men of god because they are obviously also those that attended SCOAN for a licking on the ground with the Kundalini powers that actually came when certain pastors from the Toronto blessing attended and that are taking place there in SCOAN on a grand scale. The Devil is always a liar and will jump, dive, duck, dodge if he can get away with another scam that has been taking place of what we see nearly every day. I know them personally and I know they can lie even when you just sit there and watch them operate. Much less as I have said so often in how it is possible that leaders of such can be demonized for over 10-12 years and yet still go out and “delivering other people” in other churches while they don’t manifest at all. How can this be ? I really enjoy your style of writing, I wish I could take a leaf out of it in way of writing but I hope you are sincere which I believe youare and that you will continue to be here to support this website and anywhere online to bring out the truth. And they know together we stand, divided we fall. Let God be praised and be magnified and let’s stay with Jesus Christ the True Shepherd of our souls instead of mortal false private prophets who have no interest in human life than extracting and squeezing it for personal gain and finances. It’s my delightful pleasure to tag-team with other believers like you & TBJW shoulder to shoulder to fight against this “evil-cancer” in the Body of Christ as this is the good fight of faith…for HIS Glory and HIS Kingdom purpose! He may try all the delay tactics on earth…but as they say…delay is no denial! The Law court is a very “patient dog” that can wait a very long time even 20 years or more to nail a criminal as we all know! But he’ll find it very hard indeed to find a poverty stricken “Nigerian” fall guy even among his me for you, you for me, hardest of the hardest, hard-core, die-hard, ride & die Scoanites…because the average “Nija Man” is no “Lee Harvey Oswald” scapegoat for he loves two things most…money & life! Soldier Go Soldier Come…Barrack Remains…says he! Look bro…even our professional soldiers “embarrassingly” flee from the battle field when engaging the suicidal Boko Haram fighters because they are typical “Nija Men” who are afraid to die…you call it cowardice…they call it tactical withdrawal…their “happy” wives call it survival tactics! So his best “bet” is to go capture a suicidal “martyr” from the ranks of the Boko Haram fighters…hypnotize or brainwash him to be converted as a SCOANITE…and also promise him a reward (after receiving the “death penalty” as the mass murderer & silent bomber) of a “vibrant” harem of “72 Scoanite-Virgins” when he gets to “Scoan’s Paradise”…where ever that is in the after life! The prophet really needs to pray harder on his “mountain” for his god to either send him a “human scapegoat” quickly or better still offer himself as the “demonic-scapegoat” of his faithful servant…lest the prophet becomes his “own” scapegoat…and rightly so too…whatever you sow MUST reap says the Bible! Seriously speaking: The truth remains the truth! Let us pray that when it does, the faith of many his ignorant followers will not be “shipwrecked” as we have seen in the past with the likes of Jim Jones & co who went down with many of their followers! OBEDIENCE to the Word & Commandment of God which all true believers MUST comply with whether we like it or not…which we are all trying our best to work on…Because we LOVE God! Many don’t know but this “TBJW Website” has been and will continue to be for many years to come a “knowledge base” and a true “blessing” of God to many souls who have been well advised or counseled by the “truthful” comments contained herein to save their souls and not to go fellow-shipping with such false prophets, churches or ministries as well as de-fellowshipping from them in this perilous endtime…we may not know all this…but God knows it all and cares about it…and that is what counts for us…this is why we do do this…to please HIM and make Him happy with us! So how can they now “truly” deliver people from the devil their father unto Jesus Christ the Son of God…impossible! Have you ever seen a prisoner “pardoning” his fellow prisoner from unlawful imprisonment like you see a magistrate do in the court? So also false prophets are the fellow prisoners of those prisoners they are “allegedly” trying to deliver from satanic imprisonment..
Its just satanic showbiz that they do in the name of deliverance which has no place in the true deliverance of Jesus Christ which says in the Bible that; Ye shall know the Truth (JESUS), and the Truth (JESUS) shall MAKE you free…John 8:32! I wish there were a way to ‘like’ your comment, Nosa! Very well written and make clear to me at least why he is still avoiding the court. Keep up the good work! Finally someone who gives a proper acceptable answer. You can throw this at their feet but they will just trample it like wild livid swines when you confront them with it and it is clear that they just live in denial about it and it is surely not a river in Egypt. I thank you for that. You are very correct that one should not get into horse trading biblical verses especially with people who have only a tenuous grasp of what the Christian religion entails and have turned it into a shopping mall for obtaining earthly goods and jumping the hospital queue. Whether TB Joshua, or whatever his real name turns out to be, is a man of the extra-terrestrial some refer to as god, makes little difference, he needs to be held to account if he has broken the law. We are not concerned with laws that are said to be made by any extra-terrestrials he professes to follow. If he has a case to answer it will be the terrestrial courts of Nigeria, under the laws of men that he will be held to account for any breakage of that law. I don’t believe we are able to fathom the will or intensions of beings outside our realm so let us leave them to get on with their pleasure or work and we hopefully can get on with ours. Last time I checked TBJ held no official role or post that would give him any immunity of special dispensation. He is a civilian with no recognised rank except that which he has conferred upon himself somewhere along the road. Let us stop treating TB Joshua like somebody special or excepting his self-anointed status. If you pray to an omniscient god and request that an outcome is changed in your favour, then you are saying your gods plan had a mistake and this could make that god a little bit fed up and if you are bothering that god night and day with your personal requirements for him to change his perfect universal plan, that god has had in place since day one? I don’t know if tings go better for you..
From henceforth I wish to be know as Pasta T as I have received the spirit, (Gin if you must know). Like yourself living in denial of yourself isn’t ? why pointing your finger at others people and theirs ministries?how about yourself,are you perfect? Tbjoshua no fear to appear in court,he will according to God’s time and will,maybe never,why not wait and see than stressing yourself by writting and writting long and long speech witch became so bored to read. On chante pas la victoire avant la Guerre ,this time your prophesies would be fulfill,and jesse if is not what’s we should call you then? false prophet more than tbjoshua? I pity some times komofale ,the pressure he has got from you guys,every day letters and letters,jesse has done even fast training in laws so he can convinced komofale how tbjoshua deserved death penalty or get life in prison,you are assisted everybody in this matter start by God,nigeria ‘s authorities,whole world ‘s leaders,tbjoshua’s haters,devil himself,who you should call again jesse? my my God not need your help ,he knows really people behind the attacks ,if the matter is delayed is not your problem,you are putting yourself in,it never work like that,even in your best country,and I thanks God jesse is not God or a lawyer,either from nigeria,otherwise tbjoshua should have die and scoan closed,really I thanks God you are not,the riot you are created around the world to against tbjoshua is so strong,and you hated anybody who support tbjoshua,you are constantly abused us by calling us names but we don’t care jesse,if am in this site not because of you as you normally consider yourself as a high level person,we can not even approach you,you knows better than everyone in this earth,but I don’t understand why you are hidden your ministries and your name? and why you are quoting all scripture from genesis to revelation but your posts is full of insults and abuses,you have not consideration or respect for no one,picking on people more than a pagan,why not practiced what’s you are quoted on your post?where christ ‘s life in you? how can I joined your so called ministry?you are so pride of yourself ,and we know pride belong to lucifer,show us that you have got Holy Ghost which is guiding you to love and forgive,your heart is full of hatred ,reverence,bitterness ,you happy when you hurt others and no remorses at all,what’s kind of spirit is that? Is it from God or lucifer?why not seek for Holy Ghost first and see how it will change your shamefull ‘s life? you think what you are doing is aright but jesse you have gone too fire better go back where you did left Jesus Christ,repent and go ahead otherwise you will be remain the same going circle and circle,fighting everybody,writing and writing by being 24/7 on computer ,focus on your own ministry. A BON ENTENDEUR SALUT. HUMILITY,HUMILITY,HUMILITY, CONSIDER OTHERS BETTER THAN U SAID THE BIBLE.GOD NEED HUMBLE PEOPLE,HUMILITY,HUMILITY SIGN OF TRUE CHRISTIAN ,WHY ARE YOU GLORIFYING YOURSELF? @Peter, what do you mean he’s seen the end of the matter? Do you mean in the same way as he saw the end of the search for MH370? Or the way he saw the Chibok girl’s being released “immediately” back in May? TB Joshua has no clue about what is going to happen, all he knows is that if he wants his ministry to continue he has to do everything possible to avoid the truth coming out. Oh, He has said it all alright….Why not try Jeremiah 23 and Ezekiel 13 for a change? Or the church at Thyatira in Revelation alternatively? That said from a spiritual aspect. Now….speaking “down to earth” why don’t you answer the factual questions @DWS has stated concerning SCOAN and TBJ? As a seer you seem to be you must know the answers, don’t you? Enlighten us please on these FACTS. @Peter It is very true that lies might be sustained for a season, but the truth will in the end prevail and exactly what is happening now with all these lies SCOAN sustained over such a long period of time that is now coming to the surface. I am still waiting on @anyscoansupporter to comment on the six questions/great concerns raised in regards to SCOAN practices that are clearly in contradiction to The Word of God. Two of these questions/rather facts/rhetorical questions points out blatant lies by SCOAN that cannot be denied. Are these lies then inspired through the Holy Spirit @Peter ? Is one of SCOANS popular quotes not “Make God’s Word the Standard for your life”? In other words, test/measure everything according to the Word of God. Enlighten us then, how do you justify these concerns raised concerning SCOAN practices according to The Word of God? Thank you very much for this site, it seems to be the only source of sense about the mad man Tuberculosis Joshua other Nigerian sites just regurgitate each other’s gossip, which in turn is mainly sourced from Tuberculosis Joshua’s many minions. Mr Tuberculosis Joshua also seems to have the local Police in his very deep pockets, I was shocked to hear a high ranking police officer backup Joshua’s claims that his building fell through “controlled demolition”. Is this officer going to be reprimanded for disrespecting his rank and the court? There is so much going wrong in a rich and potentially wonderful country like Nigeria, that one tends to think there is no hope, then people like you and Nicholas Ibekwe and Dr Stella Adadevoh raise their heads above the parapet and give one hope. Amandla!! tbjoshuawatch keep up the good work. You are a fraud just like TBJW. You can quote scriptures from Gen to Rev but that would not change who you really are : a COUNTERFEIT. Your father quoted scriptures to tempt our Lord but he was exposed. You can fool some but not true believers. You will soon be exposed as an angel of darkness masquerading as that of light. No matter how long lies are sustained the truth will eventually prevail. Or you can shame the devil by believing the TRUTH and repent “now” and be saved unto God the Father your Maker and Saviour! I am a living testimony to the great revelation God gave me about the so-called ‘prophet’. My uncle usually (u till now) is an ardent follower of tb joshua. When i got to live with my uncle in United State, I discovered that he watches tb joshua’s TV station online. Because of that, I also started watching the station as well. However, i was sleeping one night when i had a dream. In it, i saw myself in a very huge church, where people are going in for church service. As i was moving, i saw one elderly man and he came and met me. The man introduced himself as the pastor of the church. So, as we were talking, I looked at my right hand side at the inner entrance of the church, and saw a sign-board there. And on the sign-board, I saw an inscription and it says: “tb joshua, satanism, baphomet we do not support” At that point, i woke up. In fact, this happened before the collapse building. False prophets are all around deceiving people. Having the Holy Spirit as our teacher is the best option. Mike you can sit there until you are weighing an ounce for that answer. Aimee I have discussed with for ages. A preprogrammed drone with no own ability to discern absolutely anything. Won’t listen to you in any way even if you ask something as simple her punctuation of using the space at on her typing device. She spaghetti’s every sentence together in her posts and perhaps does this clearly because the space bar of her device is prolly broken, full of jolof rice, chewing gum and ketchup. I asked her politely and off she goes with big post, Jesse this, Jesse that, Jesse so, Jesse, Jesse, Jesse. And then she gets all delerius about a TB Joshua and what he does. But does not pay for one second about the facts presented to her and dives, twists, dodges, refuses, going on a limb to not answering it and be in denial. Her sidekick Kik, Kiki, and many other IDs is supporting her with schmoozing in French among each other in how they can defile and cover up the collapsed building with no building permit, no insurance, not up to standard. In the meantime all reporting newsoutlets are removing any traces of reporting about TB Joshua for whatever reason they have. The money train is too lucrative and the fat cats are riding drunkenly on the knowledge of their vile victory they have caused and the grief of the victims. Apparently the false private prophet will have to deceive even more people to drag down the lake of fire in the end. Just make sure you are not in it. And as we know Nigerians are scaredy cats when it comes to their so called men of gore to even touch them because they are peppered with this lie inside the churches by these false prophets and their henchmen, only to sit tight in their high horse saddle and live out their life at the costs of many. Nigerians don’t want to figure out the Devil in the details. They want only money, money, more money, and scam money and even more money, embezzle money,,fake money, 419 money, email scam money, evil money and going over dead bodies money. There has never been Justice in Nigeria. Show me one case that has trumpeted over the world of exposing scam in Nigeria ! Show me one ! I pray justice is done in this case however. About time too..
Who is allowed to comment? Is this a religious group or page for Christians only? @realt anyone can comment, but new commenters have to be approved by an admin first. Just seen and approved your comments, thanks for your contributions! I remember telling y’all that Jacob, a scoanite commenter on this website, was actually tbj himself. it should be obvious by now to most of y’all how conspicuous his absence has been ever since the disaster. tbjuk, kiki, evan and the rest have all shown up and supported tbj in his “trying time” against all better judgement. yet no Jacob in sight. Jacob’s posts, if you care to go back and study them more thoroughly, will give you every insight into the workings of tbj’s mind in stealth mode. tbj/Jacob you can come out of hiding on tbjwatch. tbjwatch is not the Coroner. Nosa a.k.a. A.S.O.N. (Always Spot On Nosa). whether from front to back or back to front, Nosa is still Nosa. I’m overjoyed that you are a fulltime commenter on here and I believe you as well as the other veterans will surely win over the lost in due time. HAHAHA, you are also going thru the wilderness like me? then we are comrades if that be. I am a wreck. totally broken and battered. it’s a “miracle” waking up in the mornings. yet I love it. no pain…no gain. I ain’t going down though. this earth is MY patch and I’ll be damned some usurper replaces me as lord and master over it. it’s obvious why I really cannot send you confidential correspondence either by email or snailmail coz we both know that every 1 and 0 in cyberspace passes thru their filters. and if man has been able to, as early as the 90’s, carry out facial recognition of persons on the earth’s surface from powerful cameras mounted on orbiting satellites, then I can assure you that these extraterrestrials can increase the power of magnification by even more than a thousand times and read whatever I send you by hardcopy. I have no other recourse than to cache ALL vital info in my brain. still I advice you to disseminate your findings, to at least a dozen of your trusted ones by word of mouth as I have. I don’t believe they have microphones that powerful yet. they do have human moles/slaves, such as tbj, in every sphere of life so they are pretty much up to date with all our goings-on. also, I’ll advise that you donate as much as possible to sperm banks in as many locations as possible and as covertly as possible to ensure that your genes are passed on. would be a waste of top class mankind genetic material if we do go down of our own accord. now, with regards to your experience aboard their vessel, was it an out of body experience or “soul travel” if you like or were you actually “beamed up” physically? I’m aware there’s a whole armada right above us and invisible to the unaided eye. we have technology that renders soldiers invisible why shouldn’t they have even more advanced technology? I’ve seen a heavy machete stationarily suspended in the air for a long period of time. they try to interfere as minimally as possible in our affairs and hence do their utmost to keep outta sight. I’ll be expecting your response on the thread before this one. safe bro. heaven.thanks”. this is why I said I’m not the one being rude rather you were rude by categorizing me with the Pharisees who hated on Jesus by saying I should stop attributing everything to demons like the Pharisees used to even when I NEVER made mention of demons. I didn’t put any words in your mouth or have you forgotten what you wrote? anyways, I did apologise if I had hurt your feelings by calling you a scoanite (though you guys should be proud of this name) as you can see in my last post so I don’t know why you are saying I should take whatever easy. cheers. scoanites, answer at least one of the questions DWS has raised and we’ll then decide whether or not to keep answering your numerous enquiries. thanks. @Daemondada Maybe I missed it, what numerous questions have SCOAN supporters asked that has not yet been addressed? I am happy to address such to ensure this is not used as avoidance strategies answering to the serious concerns about SCOAN practices that is clearly in contrast to The Word of God. I know of course that they cannot answer to these questions as some of these questions were already asked about 4 years ago when TBjoshuawatch was born and still no answers to these questions or should I rather use the word facts or rhetorical questions. All I have seen is the many excuses to try and defend the obvious. Answering the questions Scoan Supporters might have will just eliminate the last excuse they might possibly offer for apparently not answering the serious concerns in regards to SCOAN practices. We all know however the only reason for not answering these questions is because they cannot deny these facts. don’t worry, DWS, you’ll soon experience the deluge of enquiries from the 3rd of December that’ll come from these same scoanites who have been rudely ignoring your civil entreaties. in this particular instance however, the enquiries were directed at me. keep up the good work all the same. A female church member of scoan’s “only” sister church in Nigeria a.k.a Christ Embassy @ Lagos is suing the church & pastor for assaulting her and brutally beating her staff into “coma” because she was was simply asking them to pay her the money they agreed for her services rendered to the church…. If it was back in the dark ages of the 19th & 20th century, this “poor sister” would have taken this whole incident in good faith as a “victim” oriented christian…forgetting that this evil is been perpetrated against her by these so called pastors or “barbaric clerics” right inside the “church”…. Blind “seer” of the blind scoanites…catch my drift? The only way of this “favourable” outcome is because of the corrupt system cogs in Nigeria and I know they blame Boko Haram for it because TB Joshua is PLAYING out his cards because he knows and his crooks nobody is able to sort out Boko Haram in Nigeria so they can sit out their time. That is why he is laughing and sits behind the screen. One only have to ask if Justice Lateefat is a member of SCOAN anyways so they are just stretching it and stretching it, dragging feet, digging heels in and pass the buck as much around to whoever wants it and has to go over it. DONT FORGET THESE LAWYERS AND JUSTICES ARE PAID HEAVILY FOR THESE MATTERS TO STRETCH AS LONG AS POSSIBLE THE CASES SO THE GRAVY TRAIN WON’T STOP AND THE BRIBES ARE COMING IN ! The bible says: Money answers ALL THINGS ! Many have pierced themselves with it to grief. But there’s a catch in it…the world is watching with rapt attention! So how will the Nigerian court want to look like, after the Nigeria journalists and police officers were both “checkmated” with cash from the coffers of the corrupt prophet??? So I believe the court has “everything” to lose and absolutely “nothing” to gain in the sight of the “watching” world if they “botch” this one by letting the prophet come out if smelling of roses…while they in turn will be stinking of sulphur! Big ups for “Incorrigible” Coroner Komolafe! Be the “Hero” and keep the Nija-Flag for Truth & Justice flying sky high! ASON, cool. murder ’em. safe bro. that’s why I have exactly placed the full blame for this whole fiasco squarely on the shoulders of the Nigerian media practitioners. I guess that now Nigeria has been dumped out of the African Cup of Nations tournament by South Africa, the beef of the press on SA would be even bigger. which of course will have their grievances transferred to the victims of the disaster. I’m bamboozled at their indifference to this international incident. what a **** press. Perhaps this is a pointer to the fact that some women looking desperately for the fruit of the womb sometimes get “blessed” with this kind of satanic “tinkering” of their wombs and end up with such deformed “babies” imparted into them through the spiritual manipulations of these false prophets …a.k.a antichrist agents! The end game of this alien-antichrist is to raise a “human-demon” race on earth like the “Giants” of old who were the offspring of angels that took or married our women who gave birth to an “alien-race” on earth contrary to God’s created world a.k.a the half-angels & half-humans or Nephilims…who were far more supernaturally empowered, physically stronger and taller (±18 feet) than ordinary men like us. But I kindly ask where, when and how did the genes of animals like “goats” enter into our DNA structure to now be producing half human-half goat babies? Signs of the endtimes? Yeah Sure!. Laugh me to scorn if you wish…but I dare say, based on very reliable revelations with physical proofs & scriptural confirmations that the “Antichrist” that “Man of Sin” & “Son of Perdition” has recently been physically and secretly “BORN” into this world in the town of “Bethlehem” unknown to billions of us…as the son of a “Jewish” mother whose father is Satan the Devil! Let me reveal a little secret of Satan here…correct me not…please! These devils are not interested in whether we humans make it into the kingdom of God or not that as that is just surplus to requirements for them…. So their only “hope” is for the antichrist their so called “superman” to come and find a way to “save” them from God’s judgment of eternal death…just as Jesus Christ came to find a way to save mankind from eternal death on the cross…hence they call the antichrist their “saviour” just we call “Jesus Christ” our Saviour….copy that? Which they “know” will surely provoke God to destroy this second world again to raise another “pure” race of humans like He did in the first world of the giant-human race and saved only Noah’s family to raise another “normal” human race that will inherit the earth forever according to His Word (Genesis 6:1-8)…. But in the case of these demons who are already polluted with sin before they fell from heaven to the earth, whenever they sleep with women, they are only capable of producing spiritual & unnatural babies so they need to find a way of performing that feat…enter the antichrist who is of the same giant stock as the giants of old…whom they believe can help them “mass-produce” their own “alien” offspring on earth…still sketchy? The answer lies in the fact that all mankind in those days spoke only one “unifying” language called “Hebrew” the language of Adam, Noah, Abraham, Moses and the Jews as we all know it till date…and the scriptural “Law of Unity” says that…at what time all mankind can agree with one accord and “mind” whatsoever they purpose in their heart to accomplish on this earth whether good or evil will not be hindered or “restrained” from them by the LORD…this is the “unbreakable” Word of God! Meaning that if they want to continue “sinning” without eternal punishment in “hellfire” they can through this scriptural “law of unity” of mind & purpose find a “way” to accomplish it…got it? We are all united by our language as kinsmen / nationalities and the only other powerful tool on earth that can unite all humans regardless of their nationalities as kit & kin with one mind and purpose is…voila…RELIGION! This is the missing link…the “cracked” Da Vinchi Code…Believe Bro! Just believe! Say…did you know that the devil promises these “Satanists” that they will all “inherit” this earth for eternity together with him as his reward to them for their loyalty & service, while the rest of us who oppose him will be wiped out in due course? The exact opposite of the Word of God right or wrong? Now you see why the main goal of the antichrist is to use his “GLOBAL RELIGION” to “unite” all humans by “force” during the days of the “Great Tribulation” and wipe out all humans opposing him or refusing to convert to his new global religion to enable him re-create the endtime “Tower of Babylon” afresh (that will reach up to the heavens or skies where the spaceship or “City of Babylon” is located) where demons & humans will freely “copulate” to produce millions of endtime “Giants” like the antichrist himself that will “enslave” the far weaker humans in their evil “Binary Matrix” (which spiritually signifies “1” for the demons and “0” for the humans) to take over the earth from them like in the first world…until God is so provoked that He will have no other choice but to destroy this second world again to raise another pure human race in the third world that must inherit the earth…God Forbid! That is why I had to go out of my way writing this length post to let you “know” what I “know” so you “know” that what we “know” is exactly what they don’t want us to “know” as the more humans who “know” will make us “know” what to do to subvert their “knowledge” and evil plan against us…so you must divulge what you “know” to those who need to “know”…so we all can run with the vision…it’s all about knowledge! The Bible says: …My people are destroyed for lack of knowledge…Hosea 4:6! This scriptural LAW OF UNITY…therefore cannot be enacted by the antichrist because of the “victory” of the endtime elects over him who will resist him, his mark and his global religion! Thus he has “failed” in his endtime mission like Nimrod of old, the first antichrist agent in the first world! This is his day-mare, night-mare and worst case scenario…that gives him sleepless days & nights…the fear & consequence of failure…Spiritual Death in the eternal Lake of Fire! Eternal “VICTORY is assured us as Jesus Christ will come back in the middle of this antichrist mayhem to destroy him and his entire hosts of devils & humans and establish the everlasting Kingdom of God on earth! Ask yourself this question: if “all” humans on earth both saints & sinners have received the mark of the beast before the Second Coming of Christ as the antichrist is assiduously planning to do, who then will Jesus Christ “rapture” as the pure and holy saints of God? Feel free to pass any info or intel reports you have “uncovered” across to me and others who you deem “need” to know through this binary-matrix regardless if they intercept it or not as I’m doing…as that is exactly what they want…those know should not be “allowed” to let others know…Got it? Trust God…we endtime elects are scripturally and supernaturally endowed by God to take on any one of these alien-demons and “crush” them like sardines…with our little finger! The more of us elects who “know” about their plans the more chance we have to destroy their evil agenda before Jesus Christ MUST surely come to destroy them in that Lake of Fire they dread so much to be cast into in this second world ours…because, for sure there ain’t gonna be no “third world” for them…just the Kingdom of God and of Christ forever and ever…Amen! AS IT IS WRITTEN! It is obvious why this false prophet, TBJ, is afraid to appear in court. He knows there is no truth in his mouth and would put himself in danger if he appeared. But we wait to see if the coroner would exercise his authority to order the arrest of this criminal and murderer, for contempt of court. TB demonstrated today the bracelet-again, saying; ” christians of today are on baby-level and need this basic-teachings. ” I realy wonder about what TB preached the last 30 years, and they still seem to be on ‘baby-level”? Or is this ministery just one big farce and stragedy ‘to keep the people under?” It seems to be a doctrine of a smiling dictator or just a fool. Jamie, this is what happens when you follow a doctrine in which to receive the Holy Spirit within you is a long term and strenuous procedure. Of course you are a “babe” which serves just right authoritative purposes of “men of God”. This “you need the water, you need the bracelet, you need the sticker, you need ME to make it” teaching leads to no less than confused Christians who don’t really know whether they are regenerated or not. Can you imagine? They are not aware of their identity in Christ and the rights and power that bears. And how can they, when it is the Holy Spirit WITHIN that testifies to our sonship in Christ and not left, right and center. So, under the veil of fear and misconception, when anything bad happens to them, it is either because they didn’t obey the “man of God” or because they feel powerless against satan. And if “there is no physical, emotional, intellectual nor spiritual power that can come against the devil but God’s Power”,which is true, then believing that they do not possess such power on their own they will run after anything the “man of God” suggests or tells them, after the one who “has the power”. This is it-unfortunately- in a nutshell. It is as if the Christian’s armor in Ephesians, the fact that we are God’s Righteousness in 1st and 2nd Corinthians, Romans chapter 8, Saving Grace and the seal of the Holy Spirit in Ephesians for ALL and the anointing within ALL of us children of God in 1st John, but to mention a few, mean nothing. This why you see disciples/pastors making a spectacle of themselves and falling into the most abominating sin because no matter their gifts, their eloquence and even their love for God, they HAVE GRIEVED THE HOLY SPIRIT BY NOT RECOGNIZING NOR RECEIVING HIM WITHIN THEM. “You, however, are controlled not by the sinful nature but by the Spirit, IF the Spirit of God lives in you. And if anyone does not have the Spirit of Christ, he does NOT belong to Christ.” Romans 8:9. “NOW THE LORD IS THE SPIRIT, AND WHERE THE SPIRIT OF THE LORD IS THERE IS FREEDOM. Glory be to His Name, for His Word, for His Spirit. People should not be moved by the so-called miracles. These are not signs of godliness because the devil and his angels also have such powers. You may remember that when God through Moses and Aaron changed a staff into a snake, the devil through Pharaoh’s magicians and sorcerers also did the same. We should pray for discerning spirit so that we can distinguish God’s power from all other powers. Failure to do this will see us falling into bottomless pits. The recent calamity in which 11 lives perished at one of these churches’ gathering in Kwekwe should be a wakeup call for the authorities. Government cannot watch helplessly precious lives perish at a church gathering. This could be expected at a political rally or a football match. The fact that this occurred hard on the heels of a similar disaster in Nigeria should be a cause for concern. Mr Walter Magaya revealed that his godfather was TB Joshua and that he was the one who gave him the prophetic powers. 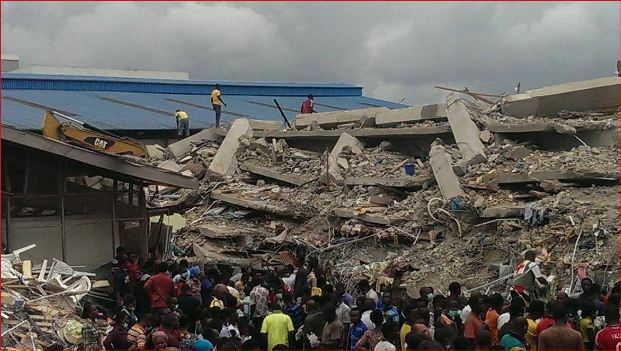 There was a disaster at TB Joshua’s building that killed over hundred people. Two months down the line, a similar disaster struck at his godson’s church gathering, killing 11 people. Sorry to say this to you, but I quote from your post. That is what it is partially the rest is all fake. Fake actors. Fake rolling on the floor and throwing up. The same crap is displayed on John Zavlaris ministries YouTube videos. Look closely to his posted videos and you will see even without spiritual discernment it is so obvious that it hardly cannot be more obvious. People are being conned. From 20% that could be a manifestation of spiritual interaction they make 80% fake extra ones to let it look like it is real. This is not a formula over there only this is now spreading over the whole world to create their credibility. The closer you are investigating it and see it close up the more you see soulish crap unfolded in front of you in those churches and the orators are just as bizarre as you watch horse racing or dig racing. This lingo is the drum that beat there and illiterate lazy nor reading the Bible at all fall for this as a shortcut to their own future destruction and problems that will unfold. He will never baptize anyone in the Holy Spirit because he has not such baptism himself, so he can’t pass it on to others then giving others powerful demons to generate power and keep demons shuffling around in people. The more violent this displays the more curious blind people will crawl to it even if they have to cough up their last dime for that. This controlling is seated in Jezebels spirit demon and the weak Ahabs that go there to get their fill. TB Joshua is ducking and diving, because he is a liar and do not know how to get out of this one by lying further. The court is not part of his deceived followers who believes all his lies. Maybe he is hiding in his Revonia house in Johannesburg? Remember his once a month sermons he promised in SA? The impression outside is that the founder of Synagogue Church of All Nations, Prophet Temitope Joshua has been doing everything possible to frustrate the ongoing coroner’s inquest into the September 12 collapsed building in the church which killed 116 people, mainly foreigners. Some think that he has been using the courts to slow down the inquest. I think Joshua should stop snubbing summons by the Coroner so that people will stop thinking that there is something suspicious about the synagogue tragedy. You also need to respond to allegations that your people prevented rescue agencies from accessing the site, several hours after it collapsed. I believe you should drop the case in the Lagos High Court seeking to stop the Coroner’s inquest. 2) be wild and less technology oriented. 3) NEVER feel sorry for ourselves no matter what. The WORD or Sword of the Spirit…is the Key! The Second Coming of Christ…is the Clamp! We are their “Locksmiths”…as their “mystery” unravels.. Victory is Ours…Ve Vill Vin Ze Var! Not in God’s court of law Vooke. Watch and see God working in this situation. He is already busy! He will not get away with murder, except by a true repentance and not a Farao like repentance. Why would you speak for them ? They are dead ! Ecclesiates 9:5 For the living know that they shall die: but the dead know not any thing, neither have they any more a reward; for the memory of them is forgotten. But they next of kin have lost them and it is no consoling matter to speak for them of their lost ones because of a irresponsible tragedy because of somebodies choices. You keep covering this up. The building needed a permit, the building needed insurance which both were not applied. What were they thinking ? What world do you live in ? You live in a dazed and confused world that makes no sense here on earth and never will. There are health and safety rules for most buildings that exist today and they all have to meet the rules and regulations and you don’t understand that. Just as cars need insurance and people have life insurances and funeral insurance. Any idea why this is ? I guess you don’t understand any of that. You just want others to turn up for the costs that others have created for them because of a wrong choice they made in their own judgment. If TB Joshua had consulted the Holy Spirit He would have told him not to build illegally and without having an insurance. What on earth do you not understand concerning this ? If you can’t afford it then don’t do it, yet it was done. You all think that is not punishable by Law ? Well in all countries this is, but clearly not in Nigeria. Apparently it is place where cowboys live and run wild whatever they like to do. We call this savagery, wild men and women with the meat between their teeth ripped off raw from their prey they have caught. Is this acceptable in 2014 ? Or even before ? No ! Not acceptable. All people are required to do so by Law, you can’t ride a car without insurance, you can’t have a mortgage without insurance, you can’t build a building without insurance. That is the Law ! And the Law is broken and that is where the Law needs satisfaction that there is a punishment applied because of trespassing the Law. Everyone knows this. Even thieves, murderers and street protestors. But at SCOAN they don’t understand anything concerning this at all. On purpose, deliberately and willing to divert the course of Justice. Wriggling, twisting, using their imaginary position of walking away with crime. They look for crime in others but when found out themselves they want to cover up ! Proof of application when the Law of God is trespassed. This was even applicable on Adam and Eve, God’s own personal creation. Zechariah 5:3 Then he said to me, “This is the curse that is going forth over the face of the whole land; surely everyone who steals will be purged away according to the writing on one side, and everyone who swears will be purged away according to the writing on the other side. Deuteronomy 25:2-3 then it shall be if the wicked man deserves to be beaten, the judge shall then make him lie down and be beaten in his presence with the number of stripes according to his guilt. “He may beat him forty times but no more, so that he does not beat him with many more stripes than these and your brother is not degraded in your eyes. Ezra 10:8 and that whoever would not come within three days, according to the counsel of the leaders and the elders, all his possessions should be forfeited and he himself excluded from the assembly of the exiles. Having NO building permit was not walking in the Spirit, thus trespassing the Law. Having No building insurance was not walking in the Spirit, thus trespassing the Law ! and they say he does not have to be TRIED for that ??????? Everybody would be tried for that, including TB Joshua has to be for that. But if the Justice system is so unbelievable crooked in Nigeria. Then only criminals are walking still around like that, which is a fact. And they promote this on all kinds of websites and convictions, which makes them equal to criminal damage to others in the same way. It means they are guilty of Misdemeanor. Ezra 6:11 And I issued a decree that any man who violates this edict, a timber shall be drawn from his house and he shall be impaled on it and his house shall be made a refuse heap on account of this. Genesis 9:6 Whoever sheds the blood of man, by man shall his blood be shed, for God made man in his own image. Numbers 35:30-31 If anyone kills a person, the murderer shall be put to death on the evidence of witnesses. But no person shall be put to death on the testimony of one witness. Moreover, you shall accept no ransom for the life of a murderer, who is guilty of death, but he shall be put to death. That’s the LAW and the Law is a terror for those that trespasses it. When TB Joshua and his followers deliberately erect an illegal building and has no insurance, yes he has to testify in Court of why he did that. And we know that that is the sole reason that his lawyer is trying to let him dodge this interrogation. In SCOAN they can interrogate demons, but they themselves cannot be interrogated because of lame excuses. What a farce ! Matthew 23:3 So you must be careful to do everything they tell you. But do not do what they do, for they do not practice what they preach. Do not be deceived by ANY MAN ! Ever ! IT IS WRITTEN: …the expectation of the wicked shall perish…Though hand join in hand, the wicked shall not be unpunished…Proverbs 10:28b & 11:21! 1) It was evidently impossible for that low flying aircraft or any other one such as the defunct |Concorde Airliner” with a thunderous noise or decibel level to possibly have caused the said building to collapse from its sound or vibrations. The fundamental law of science is: To every action there is an equal and opposite reaction! No smoking gun…No Fired Shot! No Smoking Bomb…No Exploded Device! 3) It was evidently clear from the personal conduct of the prophet that in impeding, hindering, obstructing and preventing the Coroner from conducting his legal duties in his fact-finding quest to ascertain the cause of death of the victims so to prescribe deterring solutions to the re-occurrence of such unfortunate incidences in the future because he was obsequiously busy with the affairs of seeing to the “in-apparent” mourning & burial of the said victims as claimed by his defense counsels who have been apparently busy in making sure in a law court that the prophet deliberately, disparagingly and destructively avoids coming to testify before the same law court as a quality or “crown witness” in this inquest; that the prophet has proven beyond any human “reasonable” doubt that he indeed “conducted” himself in like “manner” against the rescuing government agencies who came as first respondents a shortly after the building collapsed in impeding, hindering, obstructing and preventing them from carrying out their legal duties of saving lives which could have led to saving up to or more than a hundred of those poor victims who obviously struggled to survive but gave up in the first three days of that unfortunate incident because he was obsequiously busy with the affairs of seeing to the “in-apparent” seamless live broadcast of his Sunday service of praise & worship all over the world when he “knew” for a fact that his “followers” lay “dying” under the ruble and debris of his collapsed building a stone throw away from his church auditorium despite and in spite of a “Milk of Human Kindness” he has as quoted by his lawyer. This is Wicked, Evil, Monstrous & Inhuman! 4) It was evidently clear that that the prophet was in crass contravention of the state law in erecting an illegal building in an unlawful manner without a building permit and a certificate of occupancy for such an important high-rise six story building designated for the housing of international guests or lodgers from all over the world as his “paying” visitors just like is expected of any other licensed and up to standard hotel or hostel does and is required by law to do in the country! 5) It was evidently clear that the prophet’s refusal to provide “himself” and most especially his “building contractor” before the court as a pivotal witness in ascertaining whether indeed the said building was constructed in the approved safety standard rules & regulations of constructing high rise buildings in the country in terms of standard and quality building materials as well as professional and experienced builders this is mandatory before embarking on such a huge task. It is common knowledge that laying the foundation of a “bungalow” is never the same as laying the foundation of “skyscraper”; as any short cuts or error in the initial building construction will surely lead to a “flawed foundation” which in a bungalow might be “inconsequential” on the long but in a skyscraper might be “catastrophic” on the long run as it demonstrably the case in this Coroner inquest! 6) It is now evident before the World’s Grand Jury that the prophet’s “personal conduct” before, during and after the collapse of the said building is clearly fraudulent, unlawful, indicting and criminal in the entirety of this inquest as it is demonstrable for all to see till date with his crass disdaining, denigrating and discountenancing of the Rule of Law! 7) Therefore it is imperative, obligatory and mandatory for the Court of Law to charge, indict, arrest and arraign the prophet named TEMITOPE BALOGUN JOSHUA before the Lagos State High Court of Justice as a suspected felon in a clear case of “Culpable Homicide” and “Mass Murder” so that JUSTICE will be served and seen to be served! Failure to do this will lead to a very rash backlash of both local and international public opinion and condemnation against the judicial system of the country for years to come not to talk of the legally ominous precept and precedent which is now being set by the prophet of showing how it is possible for wealthy & influential folks can hire senior advocates or lawyers to avoid coming to testify in court as witnesses when summoned or subpoenaed to do so without any obvious legal consequences a deterring factor. Failure to do this will lead to other aggrieved parties such as the relatives of the dead victims and / or their supporters to seek judicial re-dress in the International Criminal Court of Justice (ICC) that also has “jurisprudence” in such international cases because they feel that there has been a MISCARRIAGE OF JUSTICE in the country’s Legal and Judicial System of enforcing the Rule of Law! One Law for both the rich and poor! One Law for the rich and another for the poor! TEMITOPE BALOGUN JOSHUA has been found GUILTY for the MURDER of 116 PEOPLE in his guest house and should be PROSECUTED in the Court of Law where he has his constitutional & human right to defend himself and prove his innocence! If his hypothetical SABOTAGE don’t fit the theoretical FACT…you must prosecute! 2 Thessalonians 2:8-12 And then shall that Wicked be revealed, whom the Lord shall consume with the spirit of his mouth, and shall destroy with the brightness of his coming: 9 even him, whose coming is after the working of Satan with all power and signs and lying wonders, 10 and with all deceivableness of unrighteousness in them that perish; because they received not the love of the truth, that they might be saved. 11 And for this cause God shall send them strong delusion, that they should believe a lie: 12 that they all might be damned who believed not the truth, but had pleasure in unrighteousness. Can you see the pattern of how TB Joshua is going about solving problems? And he trained his disciples to do the same! When the disciples’ family members phoned the church after the building collapsed, tbj and his lying department (his office workers) also ….hindering, obstructing and preventing them….. from any news about their loved ones. They even lied saying, “Nothing happened”. ……….”that the prophet has proven beyond any human “reasonable” doubt that he indeed “conducted” himself in like “manner” against the rescuing government agencies who came as first respondents a shortly after the building collapsed in impeding, hindering, obstructing and preventing them from carrying out their legal duties”…………. ………..”It was evidently clear from the personal conduct of the prophet that in impeding, hindering, obstructing and preventing the Coroner from conducting his legal duties”………..
TB Joshua and his disciples’ conducts are stinkingly rotten. …..29″But the house of Israel says, ‘The way of the Lord is not right.’ Are My ways not right, O house of Israel? Is it not your ways that are not right? 30″THEREFORE I WILL JUDGE YOU, O HOUSE OF ISRAEL (TBJ AND DISCIPLES), EACH ACCORDING TO HIS CONDUCT”, DECLARES THE LORD GOD. And NO, they were not martyrs. @ all negative people on this site. TBJ IS A REAL MAN OF GOD. LIKE IT OR NOT. What do you have to say and I quote Mr Joshua. We are religious people now ? And he is a christian ? Why did he sit upon his hands when he KNEW of what he said what was going to happen and with the Emails he purported to have from so called terrorists ? Should one not sort out their building permits and insurances before the visitors come ? Now he is complaining about that people sleep in the street !!!! Is that their fault because he deemed it right to build illegal guesthouses for them to live in as such. He uses everything to play on your emotion as a devil that plays his last symphony of “Please have sympathy for me” smallest violin in the world. He reaps what he has sown, why not shut up and deal with it as a man, not as orchestra player for emotional support. You still don’t see his consistent lying do you now ? Why claim being man of God and hide yourself behind earthly lawyer to keep stalling things until it could become “favourable” for himself. The master of playing with puppets like you want to be is pulling at your strings of how man of god he is. He crawls where it suits him, he ducks when it comes out, he slithers left , right and center when it is convenient. Don’t you see ? What happened if God is for us who can be against us ? Why all these theatrics ? This continuous covering up and sowing lies and insults such as that people such as Mr Oyetade Komolafe is incompetent ? Why these insults of a so called man of god that you defend ? Why would CHIEF MAGISTRATE Oyetade Komolafe be incompetent, what joke this is ? Why you think he became Chief Magistrate in the first place ? By playing the yo yo ? Handed to him on a silver platter ? Do we see Paul going to the lawyer when he was arrested ? Peter ? John ? Jesus ? What is wrong with your insight ? you are correct on both points from your OWN perspective. Africans May God deliver us.how is it that we now choose to drink some one else’s paintablets.all we r good at is sitting somwer makin noise nd writing senseless things.r u now sayin dt we r really without sin and therfore we should as well cast ston es and rocks on ur fellow being.is it d same love Jesus showed the adulterer that wer practically showing here.that means if Jesus wer to b here on earth in this our present generation, we should hav crucified him again and again using d most painful method to kill him.its really a pity for us all.cos the kind of words that sprout out of our mouths is really somtin else.jst look around us everywer,al we see is hatred…nobdy cares for his bro or sis.even the ones quoting bible r worst of all. pagans r more trustworthy and faithful dan we religious people.Africa may we realise the purpose for life and live to accomplish life.